Ratoon rice is an ancient practice in China and Japan. Rice ratoon is considered to be one of the most ancient rice production practices in Asia. Pioneered at about 1,700 years ago (215 -31 AD), it originated in the Guangdong Province of China. Ratoon rice is produced from the second crop growing from the stubble after harvesting the main crop. It can produce about 60% grain yield of the first harvest, and provides several benefits such as reduced labor inputs, increased grain yield and profit, and optimal use of resources. Due to its efficiency, rice ratoon was widely adopted in several provinces in China. 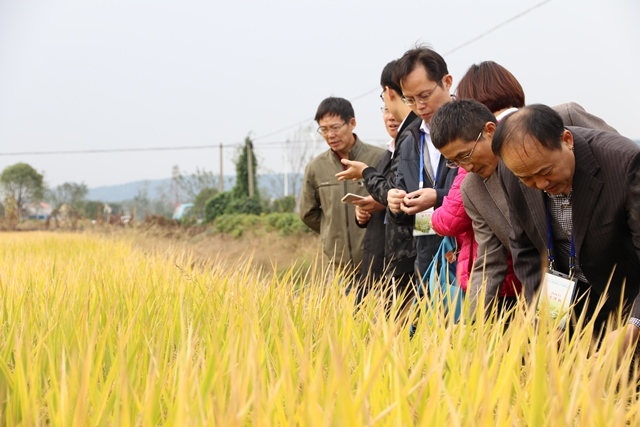 In Hubei Province, ratoon rice production peaked at 300,000 ha in the early 1990s. However, the volume fell to 6,600 ha by the year 2012. The reason for the drop is linked to high labor needs, particularly when the main crop was manually harvested. The high rates of migration of rural workers to cities is also one of the causes. 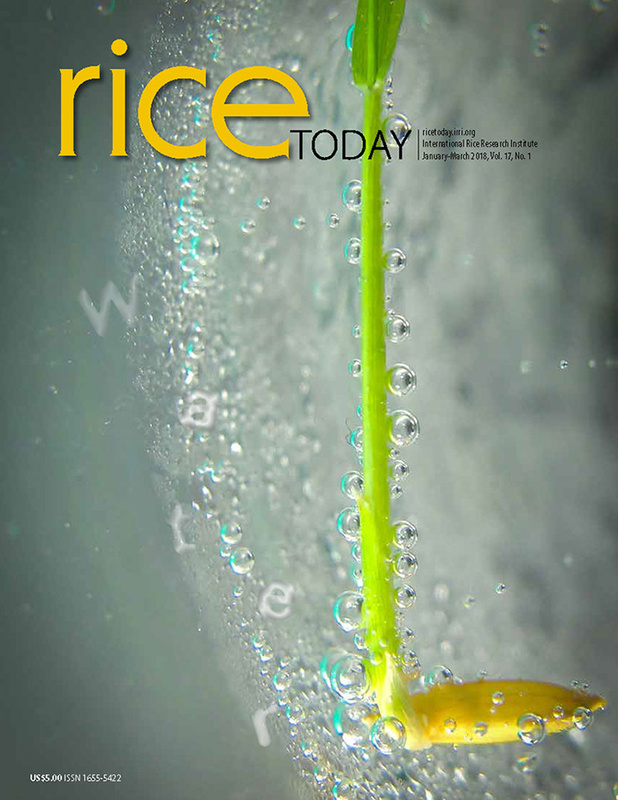 The challenge, therefore, is to integrate mechanization of rice production with the practice of rice ratooning. 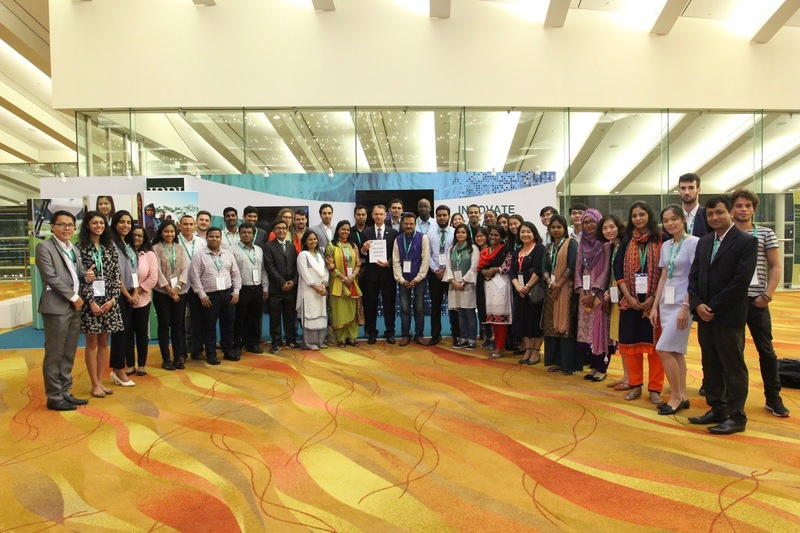 The CGIAR Research Program on rice agri-food systems (RICE CRP) supports scholars from across the globe in opportunities that encourage them to gain knowledge and develop skills that they may use to contribute further to the rice agri-food sector. 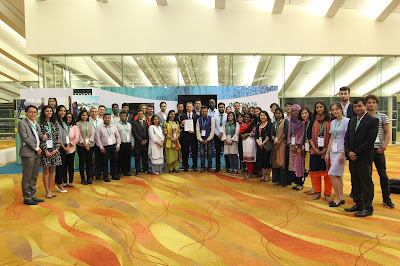 Most recently, the program supported a total of 47 BSc, MSc, and PhD scholars from across the world to attend the 5th International Rice Congress. The three-day event was held on 15-17 October 2018, at the Marina Bay Sands in Singapore. These scholars played crucial roles at the congress, serving as oral, flash talk, or poster presenters. Each received a USD 1000 travel support, which helped them cover part of the registration and accommodations needed for the event. Members of the Mountain Province Heirloom Rice Farmers’ Agriculture Cooperative and staff of Heirloom Rice Project (Ana Cope and Joseph Sandro) at the newly built heirloom rice processing center in Bontoc, Mt. Province, Cordillera. The processing center was funded by DA-RFO CAR. Implementing good postharvest practices is important - not only for improving rice yields and quality, but also for helping to improve the incomes of smallholder farmers. IRRI is facilitating public-private partnerships in order to improve smallholder livelihoods and resilience. Together with Kellogg Company, IRRI is supporting local cooperatives to manage model processing centers which conforms to high quality standards through the Heirloom Rice Project (HRP) in the Mountain Province of the Philippines. During the first phase of the HRP, a participatory needs and opportunity assessment (PNOA) was organized with heirloom rice farmers from the Mountain Province. Through the assessment, farmers were able to identify their need of postharvest machinery and technology. 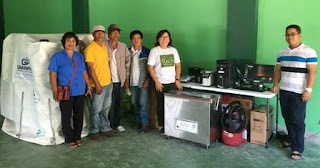 As a result, postharvest processing machines were provided to the Mountain Province Heirloom Rice Farmers’ Agriculture Cooperative (MPHRFAC) to support the second phase of the Heirloom Rice Project (HRP), funded by Philippine Department of Agriculture - Bureau of Agricultural Research. The machines helped improve the quality of heirloom rice by enabling more efficient milling, grading, and storage, which also minimized rice weevil infestation. Rice straw is a natural byproduct of rice production. Each kilogram of milled rice produces around 0.7-1.4 kilos of rice straw, a potential additional income for smallholder farmers that usually end up being burnt due to convenience and lack of awareness on other rice straw management options. With support from the Federal Ministry of Economic Cooperation and Development (BMZ), IRRI and its partners are developing and piloting technologies to facilitate the use of rice straw as an additional opportunity to enhance farmer income and improve sustainability of rice production. 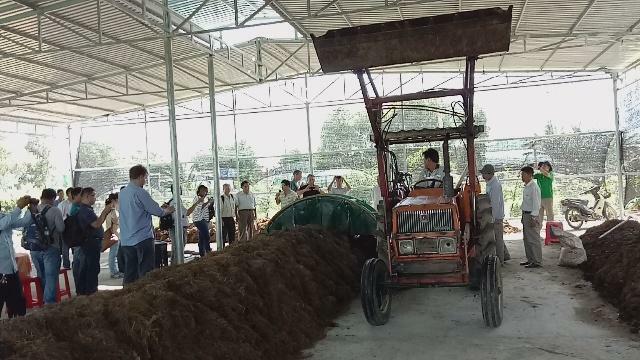 Through the project “Scalable straw management options for improved farmer livelihoods, sustainability, and low environmental footprint in rice-based production systems”, IRRI conducted a demonstration of a locally adapted compost turner in Vietnam last September 19. IRRI together with the Excellence in Breeding (EiB) program and the Genomic Open-Source Breeding Informatics Initiative (GOBii) gathers advanced research institutes around the globe to advance innovations and solve increasingly complex problems in rice-growing countries and beyond. Last August, IRRI hosted more than 40 participants from public sector breeding programs across ten countries for the Joint Breeders’ Training and Workshop. 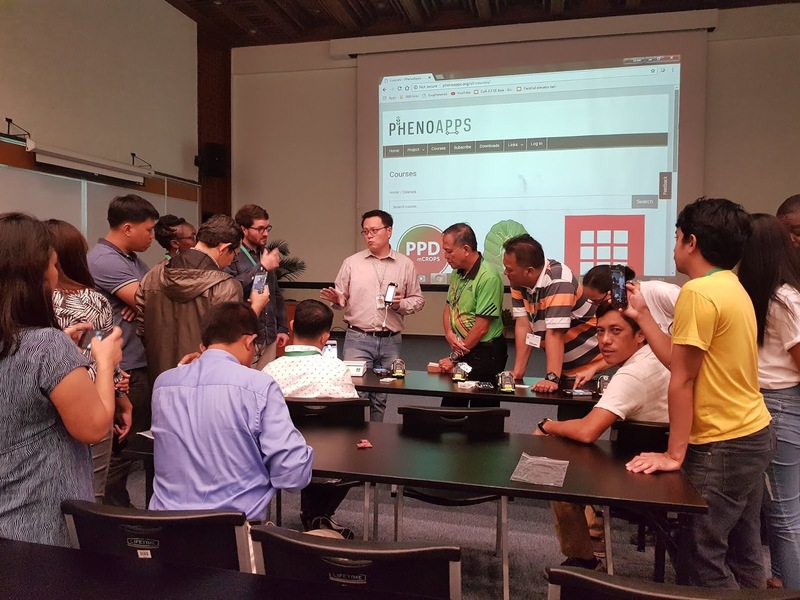 The activity was an opportunity for breeders and informaticians to discuss, evaluate, and enable agricultural institutions in Asia and some parts of Africa to modernize their breeding programs.